My new New Nintendo 3DS XL arrived yesterday, and I've been putting it through its paces. I considered writing a detailed review for TAY, but Stephen Totillo's assessment is pretty much spot on, and there's not a whole lot for me to add. It's a nice but hardly essential upgrade, so if you have the means and the enthusiasm, go for it; otherwise, stick with what ya got. If you don't have a 3DS yet, and you want a brand-new one, and you don't mind parting with $200 plus $10 for a charger, then the New Nintendo 3DS is a fantastic buy. If you're still wanting to join the 3DS club but you don't want to shell out $210 for a new unit, prices on used "old" 3DS models should be falling swiftly as the market is flooded with pre-owned units from gamers who upgraded. You can also often find the 2DS for under $99 if you hunt for deals. I like the New Nintendo 3DS. I'm glad I bought one. I'm satisfied with the improvements and I'm enjoying the hell out of The Legend of Zelda: Majora's Mask 3D right now. But it's no great leap forward for the platform, like the SP model was for Game Boy Advance, or the DS Lite and DSi were compared to the original Nintendo DS. 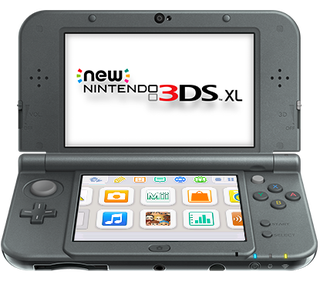 Any other new New 3DS owner impressions out there? Or are you sticking with your current 3DS / Vita / phone / tablet? Or is mobile gaming just not your thing? Peach and Mario Dominate "Dancing With the Stars"